The word mindfulness has taken a dramatic surge in popular culture over the last few years. Everyone from Hollywood celebrities, Silicon Valley executives and athletes, to me and my 86 year old mum practice mindfulness meditation as a way to create a sense of equanimity in a frantic and often upsetting world. I’ll be honest, as a sceptic with a scientific background, even when we lived in the Tibetan Regions for 7 years, surrounded by monks, lamas and temples, I could never quite bring myself to meditate. I am however an optimistic realist, and when scientific evidence begins to show the numerous benefits of a regular mindfulness meditation practice; from stress reduction, increased immune function, lowered blood pressure, increased attention and focus, lower anxiety levels and feelings of calm, I begin to listen (here's a link to the NHS NICE search on mindfulness - Ed). There is now sufficient evidence to show that neuroplasticity, the brain’s ability to rewire and reorganise itself, can reduce grey matter mass in the amygdala, a key stress responding region of the brain. Equally, increased mass in areas such as the Prefrontal Cortex, Hippocampus and Anterior Cingulate Cortex offer improvements in our abilities to plan, regulate emotions, deal with stress and increased cognitive flexibility. All of that was enough to pique my interest, and early in 2018 I began to incorporate mindfulness meditation into my daily schedule. Within a matter of weeks I noticed significant differences in my outlook, stress levels and ability to focus and even received comments from family and friends who noticed these changes manifest in my behaviour. It took me no time at all to start joining the dots between my career in landscape photography and the practice of mindfulness. As I began to notice thoughts, feelings and sensations while sitting, I realised I had been doing this for decades with a camera in my hand. My relationship with the landscape has always been one of retreat, escape from daily troubles in the city, or from a stressful career: In fact I actually started photography to de-stress. Those moments behind the lens are filled with engagement, focus, calmness and my new buzz words Creative Attention. The expression that photography is a Marriage of Art and Craft could be reworded justifiably as periods of Being and Doing. Without hijacking this article with a lengthy cul de sac of “why do we make photographs?” - I’m sure most of us would rather be out there with a camera in our hands than sat on a commuter train running 20 minutes late! The expression that photography is a Marriage of Art and Craft could be reworded justifiably as periods of Being and Doing. My second realisation was that while Landscape Photography in a state of Mindfulness may be a Utopian ideal, it often isn’t. My life with a camera in my hand certainly hasn’t always been blessed with a feeling of equanimity, and things get in the way that disrupt it, often leaving us with negative emotions of frustration, anger, low self-esteem and jealousy! Not good at all! A good percentage of this year has been spent investigating what those barriers to mindfulness are and becoming, well, mindful of them. In short, taking back control of my motivations, expressive and creative output and peace of mind. Hmm, fresh realisation, mindful of being a control freak! The practice of mindfulness has been around for many thousands of years, ever since a young Prince abandoned his life of privilege to go walk the land searching for truth. Buddhists and other faiths all incorporate various forms of meditation into their daily lives, keen to simplify existence and gain a better perspective on the troubles that personify the human experience. If we leave home with any expectation of what we hope nature will deliver, we may as well pack our anxiety, frustration and anger in our bags with our gear! This is most commonly achieved while sitting in a quiet space at home, or in your car when you’ve parked at the office, or pretty much anywhere you can grab a few minutes. 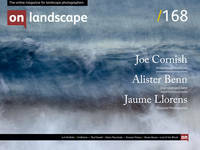 However, doesn’t the bit about focusing one's awareness on the present moment sound awfully like landscape photography? Even so, the barriers to mindfulness often hijack our being in the moment with creative attention, and instead we become overrun with distractions, excuses, pressures and occasional despair.